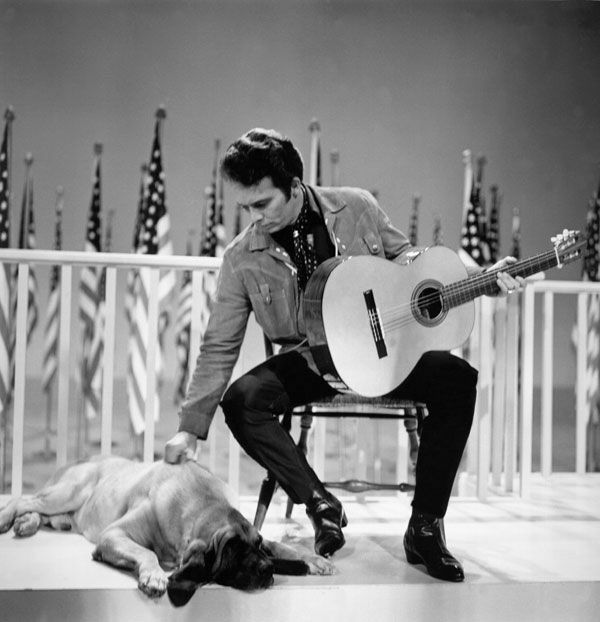 no organ or organist in this picture; one of the greatest jewels in America's musical crown petting a hip dog will have to do. i was already planning to open the show with merle haggard in joyous recognition of the man's 79th birthday. then, in a manner befitting the shakespeare of country music, he died the same day. caitlin from cjsr's imaginary landscapes pointed out that I could still play the hag out of joy rather than sadness.